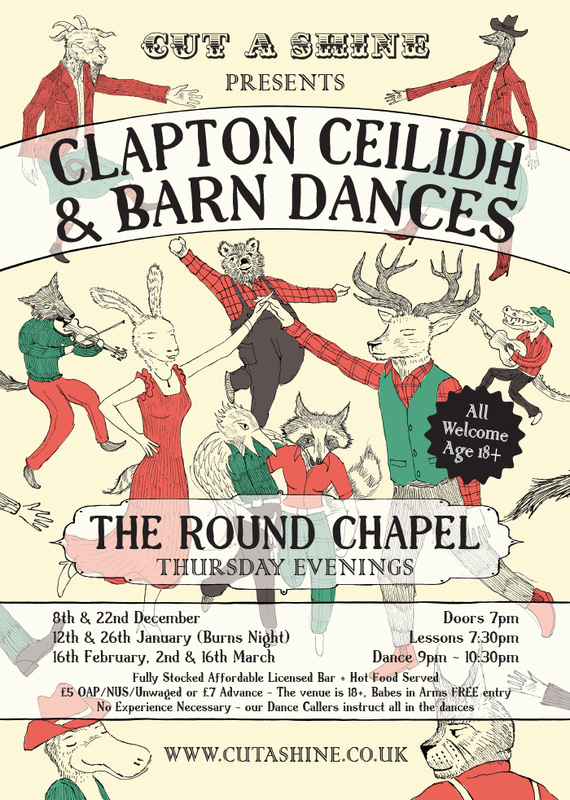 Hackney's Newest Oldest Ceilidh Dance Night is Back! 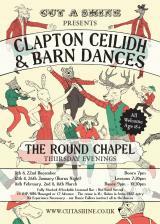 Join us for a regular fortnightly social Ceilidh and Barn Dance in the exquisite Round Chapel, Clapton. The venue has recently been granted a premises license and is throwing open it's doors for a season of regular dances for all the community, at affordable prices. We have some slower paced dances and "lessons" 7:30 - 8:30pm. Then, after a short break, we launch back into dances from 9pm - 10:30pm. These nights will feature guest callers and musicians, and will provide a mix of dance styles. There will be American Square Dances, plenty of proper Scottish Dances, a smattering of English Country Dances, and perhaps even some Irish Step Dancing. All ages (over 18) and abilities are welcome. Some dances are fast and furious, some are more sedate. We will be running our own affordable bar serving real ales (now apparently called "craft ales"), proper ciders, Wines and Whisky! This is your no frills chance for some proper dancing with friends and family in a laid back venue.